If you have any questions, please feel free to look through these frequently asked questions! 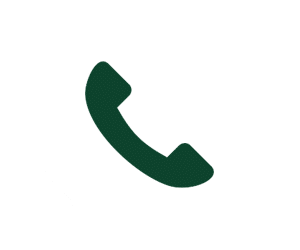 If you can’t find an answer here, give us a call or fill out our form here with your questions or comments. What is a “Shared Ride”? A “Shared Ride” or “Shuttle Ride” is one that can have up to 11 passengers in the vehicle, many of which may or may not know the other passengers. Think of it like carpooling… by sharing your ride you pay a discounted rate. While the “Shared Ride” will not make stops at a Grocery Store, Liquor Store, or other requested stops along the way, it will stop at the other participating Hotel Properties. How much does a “Shared Ride” cost? The price per person for a “Shared Ride” is $50. This includes all taxes and fees. It does not include any Gratuity for the Driver. What time can I get a “Shared Ride”? We operate multiple vans for our “Shared Ride” service. Where in Park City do you “Pick-Up” and “Drop-Off”? Where do you “Pick-Up” and “Drop-Off” in Salt Lake City? We only “Pick-Up” and “Drop-Off” at the Salt Lake City International Airport. We will drop off on the Inside Lane (Ground Transportation Lane) at your departing airline. For those that have arrived on a “Non-Delta” flight to Salt Lake City International Airport, we will pick you up outside of Door 6. For those that arrived on a “Delta” flight to Salt Lake City International Airport, we will pick you up outside of Door 10. For those that arrived on an “International” flight, we will pick you up directly outside of the International Terminal. Can I request another “Pick-Up” or “Drop-Off” location? Unfortunately, you cannot, as this is a “Shared Ride” we are on a tight schedule and cannot deviate from our designated “Pick-Up” or “Drop-Off” location. 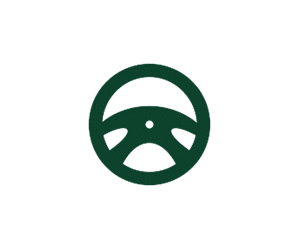 If you would prefer a different “Pick-Up” or “Drop-Off” location, we recommend contacting our sister company, Four Seasons Concierge (www.fsparkcity.com or 435-215-7200), as they offer Private SUV service for $145 (for 1 to 3 Passengers) and $165 (for 4 to 6 Passengers). Can I request another “Pick-Up” time? Unfortunately, you cannot, as this is a “Shared Ride” we are on a tight schedule and cannot deviate from our designated “Pick-Up” or “Drop-Off” times. If you would prefer a different “Pick-Up” or “Drop-Off” location, we recommend contacting our sister company, Four Seasons Concierge (www.fsparkcity.com or 435-215-7200), as they offer Private SUV service for $145 (for 1 to 3 Passengers) and $165 (for 4 to 6 Passengers). What time do I need to be at the “Pick-Up” location? We kindly ask you to be at your designated “Pick-Up” location 10 minutes prior to your scheduled “Pick-Up”. When our Van arrives we will load all of the scheduled passengers. We will wait an additional 5 minutes, once all of the Passengers are loaded. In the event you do not arrive, we will try to accommodate you on the next “Shared Ride”… but if not (or if you simply do not show up) your credit card will be charged the total fare. Cancellations for a “Shared Ride” must be received via email at reservations@parkcitygrouptransportation.com no later than 12:00PM the day before your “Shared Ride.” Cancellation requests by any other means will not be considered formal requests and may not be honored. Do we offer any discounted prices for small children, military, elderly, or larger groups? Do you offer Car Seats or Booster Seats? We do, if you request them in advance. These Seats are offered free of charge. Our first ride from Park City to the Salt Lake City International Airport departs Park City at 5:00AM. Our last ride from Park City to the Salt Lake City International Airport departs at 10:00PM. Our first ride from the Salt Lake City International Airport to Park City departs at 6:00AM. Our last ride from the Salt Lake City International Airport to Park City departs at 11:00PM. What type of insurance do our Vans have? Everyone of our Vans is commercially insured for $5,000,000 (5 times the required amount of $1,000,000 by the State of Utah). In addition, we have a $1,000,000 General Liability Insurance Policy (which is not required by the State of Utah). Do our Drivers have a Background Check? Yes, each of our Drivers has had a Fingerprint Background Check with the FBI and TSA. Is there a limit to the number of bags I may bring? We offer the “Shared Ride” service in Ford Transit 350 XLT Vans. While these vans have ample room for luggage, we kindly ask that each person limit their bags to no more than two plus one carry-on bag. Does Park City Group Transportation have a “Desk” at the Baggage Claim area? No we do not. Once you land, please call our Dispatch Team at 435-200-9345 and provide your Confirmation Number to our Team Member. You will then proceed to gather all of your bags from Baggage Claim. 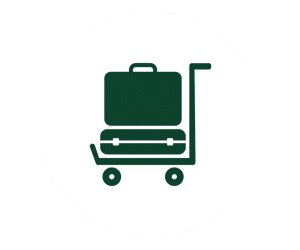 Once you have all of your bags, please call back to our Dispatch Team and they will provide further instructions on where to meet your driver and when your vehicle will depart Salt Lake City International Airport. What happens if my flight is delayed or my bags are lost? We will track your flight, so if it is delayed we will get you onto the next available Van. If for some reason you will be delayed further, like if a bag is lost, please contact us so that can ensure that you have a seat on the next available Van. How do I reserve a “Shared Ride”? You can reserve a “Shared Ride” by booking online at www.parkcitygrouptransportation.com or by calling 435-200-9345.